A little peek into the simple and happy of our week. 1. My husband the comedian. Yes that is Taylor Hicks. Of whom I am not a fan. Yes, it led to an awkward conversation with one of my girls: "Mommy, what does hot mean?" Ugh. On the fridge no less. 2. A drive thru Chick Fil A run and a get the wiggles out at the fountain session is one of our favorite summer nights. 3. Vote with me: which is more horrid? Moon Sand? Or ginormous stuffed animals? 4. Quilting! Not quitting! 5. Because this guy is tired of laying on a girly quilt. 6. My goal was to finish the top by his one month pictures. Goal accomplished. Now on to finishing the backing and sending it off to the long arm quilter. Yay! 7. Things I have learned from the OldBooth app: I am easily entertained and I will never cut Halley's hair short. Ever. 8. We have been doing a little bit of pre-sewing lessons with these sweet lacing cards. 9. I decided to start an outdoor project on the hottest day of the summer. Thus the outdoor project moving indoor and taking over the kitchen. Smart, I am. 1. Otter Pops. They are exempt from my popsicle ban because they have no sticks. But they are not exempt from my food coloring OCD. They are relegated to consumption in either the pool or bath. Issues. 2. We all had a VERY VERY BAD day. The kind of day that can only be cured with cookie baking during naptime. BAD DAY. Good cookies. 3. Really good cookies. The kind that make you forget that you dropped an egg on your foot and the floor. Or that your baby didn't get the memo that it was nap time. 4. Late night and early morning feedings have led to informerical watching. Informercial watching has led to infomercial buying. The Ninja 1100 just came and let me tell you, WE ARE IN LOVE. Crazy stupid love. With an appliance that actually is just as great as the infomercial states. I don't work for them, but I totally would. It is epic. Like a ninja. 5. Bakers twine. I could marry it. It makes everything prettier. 6. Tell me you fill cupcake tins with batter in a Ziploc. Because if you don't, you should. No mess. 7. Rolled tacos are fun to make for five people. They are CRAZYTOWN to make for thirty. One job I hope to never, ever, ever have is that of fry cook. Those guys do not get paid enough. 8. Pancake art is a happy way to start the day. Inspired by Ashley Ann's pancake post. 9. Cake batter and sprinkles. Yes. Blondies. Hello. Happy weekend to you. Have anything fun planned? Link up your little moments each week at Life Rearranged. Love seeing your recap in all its cuteness. The Ninja link is AWESOME! We've been shopping around for something like this for Evie who will be on a pureed diet when she comes home. And here I thought the Magic Bullet was looking good. Keep the Ninja updates comin'... inquiring minds wanna know! On a side note, I'd like to see the blooper reel for the guy narrating the ninja ad. That's serious SNL material. I was waiting for that thing to chop wood and huck it right into the fireplace! love it! the cupcake batter in a bag is genius!! Love this! May we see an "up close" picture of the quilt top? Looks great! the quilt is adorable-love the fabric. and sweet sassy molassy. 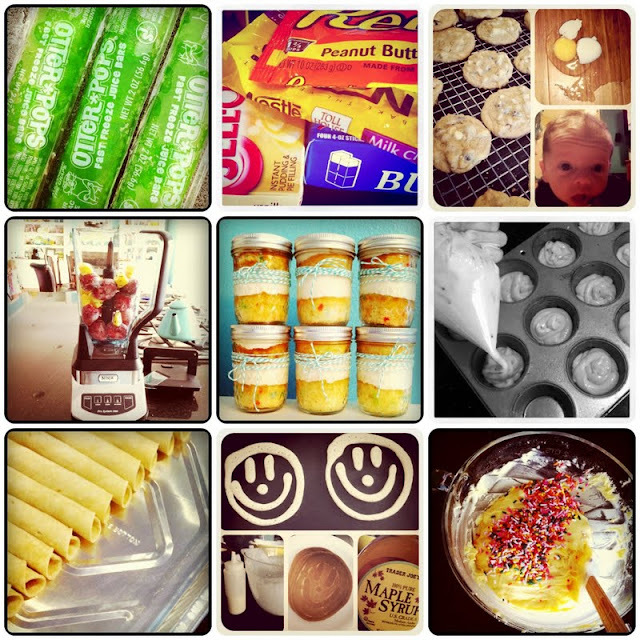 those cake batter blondies are getting made pronto. I use a small ice cream scoop to fill my cup cake tins. No mess! Your pictures make me hungry...that is all. LOVED the idea of filling the muffin pan with the ziploc bag...genious! Also..love the color of your kitchen and we will painting our playroom/craftroom/homeschool room that color! Keep being awesome. weekend plans? weathering a hurricane... checkers, connect four, hot wheel car races, scrabble, puzzles, indoor volleyball (using chairs as the net) and the list continues. There must be something about feeding a baby that makes us extra susceptible to infomercials... I can't count the number of times I watched the Cricut commercial while on maternity leave. And yes, I bought one (that I've used 3 times in the last 4 years). Quick unrelated question: Your car seat tent.. did you make that? My sister in law is preggers and would like to make it for her! BTW COngrats!!! What a blessing (4 times for you)! you need the "pancake pen" from william sonoma! it is one of my fav kitchen tools. and i put all fillings in a squeezy ziploc. I love, love, love your blog!!!!! 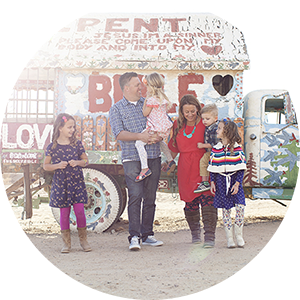 I just read Joy's Story and my heart is filled with Compassion for your family! Your strength AMAZES me! My mother-in-law has a very similar story. LOVE LOVE LOVE your blog!!! I had a question for you or anyone else reading. I'm guessing you use Picnik for some of your photo collages??? I was wondering if you have ever printed photo collages made within picnik... 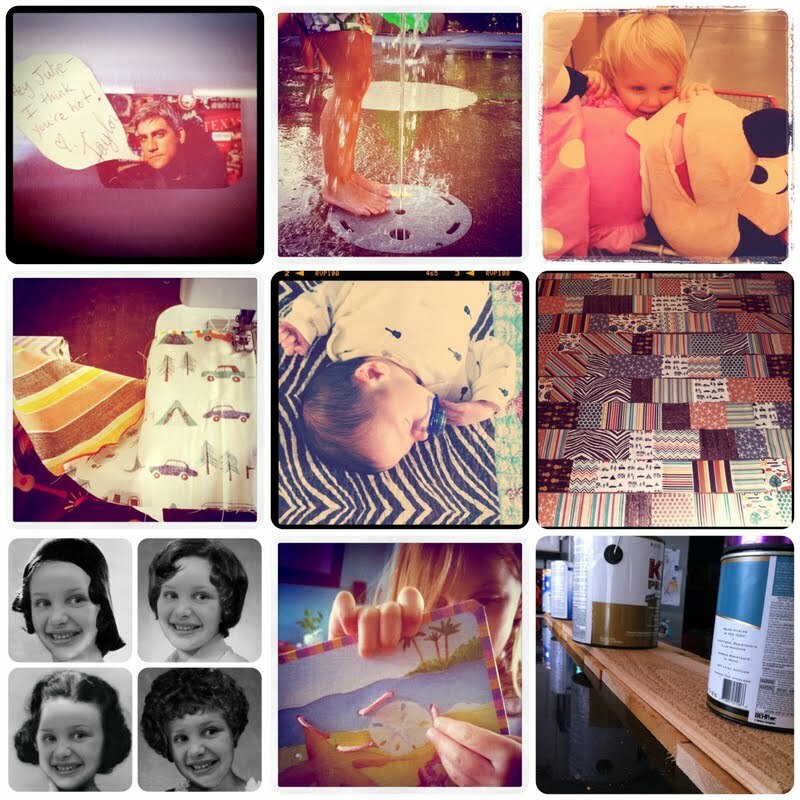 I love the collages but I'm not sure how to make them 4x6... HELP :) Keep up the awesome blogging! loved the post - so much fun to read. The pancake link didn't work.